I love it when my schedule allows me to retreat for the day. Recently such an opportunity occurred and I found myself hanging out in one of my favourite, green spaces in London I love to escape to, Kew Gardens. After treating to myself to a delicious lunch I wandered into a tree exhibition before deciding I’d had enough of walking the great stretch of land that makes up this huge green space and set myself down without much thought under the canopy of an enormous Cedar tree. I appreciate that Kew cherishes trees the way I and many others do and labels most of it’s tree stock with a small metal plaque with the trees name inscribed on it. For the last twenty or so years I’ve developed a fascination for the stories, myths and legends about the trees we live and are surrounded by. So maybe it was not coincidence but more of an intuitive urge that drove me to sit and rest for a while under this particular tree. The last few months had been really busy and I was feeling emotionally and physically spent. The Cedrus Atlantica towering above me was regarded as the world tree and in Greek mythology is home to the god of wisdom. Energetically the tree is associated with grounding and helping one to get rooted the very quality I was in desperate need of. And perhaps in that moment my own body wisdom knew what I needed and energetically what the tree would recharge me with. The myths and legends and very often the spiritual and energetic associations of many of the trees you walk or drive past everyday may surprise you. Through my interest and research I have learnt so much about the way in which trees are not just botanical specimens that are both of necessity for the survival of the human race, but are some of our oldest living monuments as well as beautifiers of our environments. Just imagine for a moment a street without trees and you have a landscape that feels as if something significant is missing. I grew up in a suburb of London (West Norwood) that was once covered by the great North Wood, a natural Oak forest that covered most of the area and raised ground starting four miles south of central London. The most common association with the Oak, one of the oldest and longest, living trees after the Yew tree, is the quality of ‘strength’. This is the tree whose trunk my back longs to lean against when I need to be replenished or to connect with my own source of courage. References to the Oak tree abound throughout the Bible and the Druids revered the Oak and honoured the sacred Oak grooves that once covered the land. 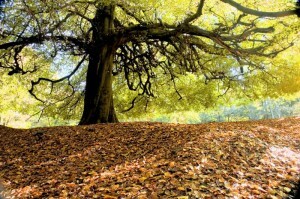 Because of the deep roots of the Oak it is said to support with the well-being and healing of your feet. During one particular turbulent time in my life I sought out the daily company of a huge evergreen Oak tree in my local park. Her presence eased my pain and grief and watched over me as I nursed myself back to strength. Most people will be familiar with the image of an overhanging Willow tree. The hanging, string like branches of the Willow tree is strongly associated with water and the flow of your emotions. Many Willow trees live on riverbanks and by water and hence it’s connection with tears and it’s ability to ease the pain of deep emotions. The Willow is considered as the poets muse because of the whisper like sound of its over-hanging leaves in the breeze. Willow branches have a long cultural tradition of being used in funerals. Branches are placed in coffins and young plants, planted on graves. Across cultural traditions in Western Europe the Willow is regarded as a sacred tree. She is aligned with the moon and the tidal cycles. In North Western Europe the Willow was the tree wise women and healers turned to for it’s medicinal ability to ease rheumatism aggravated by damp conditions of the climate. And the Willow tree is considered to be the natural source of modern day aspirin. 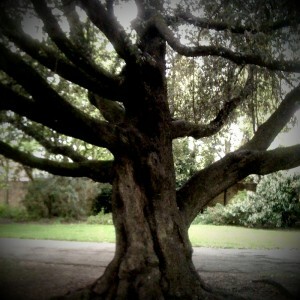 I experience being in the company of trees as soothing and calming. I am comforted by the very existence of trees, one of the earth oldest living plant species. 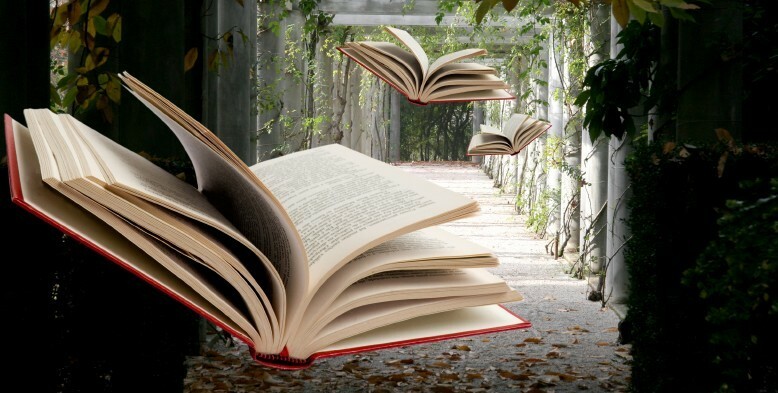 I love discovering new stories and legends about the trees we know and live with. 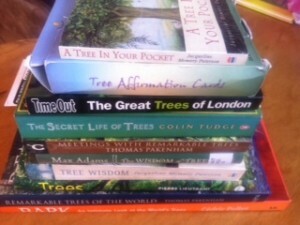 If you want to learn more about the energetic characteristics of trees and how to be more closely connected with the trees in your neighbourhood there are plenty of great publications to turn to that make great summer reads.